With summer already on its way out, your college-bound child is probably in the midst of asking for more and more money to buy the "essentials" they'll need for dorm life in the upcoming school year. (FYI: A BMX bike is not an essential school requirement for anyone, except those attending BMX U.) It's very likely that they've also mentioned needing a little device called the "iPad." That may have gotten you wondering if, in this day-and-age, the iPad should be considered instead of a laptop for kids heading off to university. An iPad, at its most basic 16GB configuration with Wi-Fi connectivity starts at $399 — and that's for last year's model. The latest model, which is packed with a retina display and all sorts of extra goodies, starts at $499. The higher-end models (that include 64GB of storage and 3G connectivity) can burn a hole into you wallet in the shape of $829 ... with additional per-month rates for data plans. Even at the cheaper end of the spectrum, we often find full-fledged laptops deals for about that price. 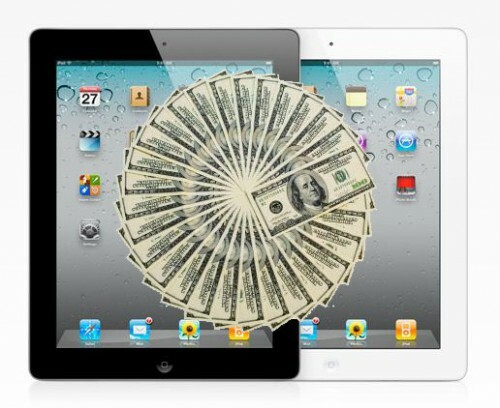 Though the iPad 2 is close, it just doesn't make monetary sense to buy an iPad instead of a laptop. Further, if you do manage to struggle your way through writing an entire term paper on the tablet, editing is another headache completely. Using your finger tip for fine placement of the cursor is next to impossible, and it'll take you a few tries to land it where you need it. After several failed attempts, you'll be wishing you had a laptop with a real keyboard and mouse. Light and portable means you'll want to take this tablet with you — and you will because, well, why not? It's so light! But taking it everywhere means there's a greater chance of dropping it anywhere, and breaking it. There will even be more of a chance that your kid will forget completely that it's in their bag and, as kids will, fling their satchel across the room — only to be rewarded with a gut-wrenching *crack*, followed by a cold-sweat-inducing *tinkle* of broken screen glass. Just try forgetting you have a 5+ lb. laptop in your bag! Your college kid wanting an iPad is second only to the desire of a criminal to steal one. It's so light (see above) and small that it's easy for a n'ere-do-well to quickly yoink and abscond. Sure, there are security locks you can use, just like the kind you can get for a laptop, but who — especially among the devil-may-care college-age set — really takes the time to actually use it instead of saying, "Pfft! It won't happen to me?" 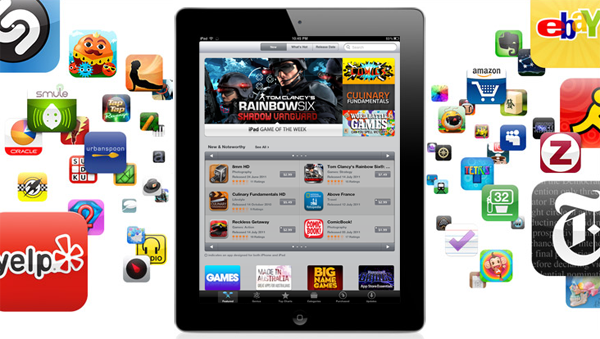 The iTunes App Store boasts more than 500,000 apps — which is tantamount to over 500,000 distractions for your child, who's supposed to be paying attention to his professor. (Well, 599,998 distractions and two dealnews apps! WINK!) Angry Birds, too, will be calling during those long lectures, we're sure. But on the contrary, would anyone boot up DOOM or Minesweeper on a laptop in the middle of a lecture? Probably not. That's a commitment that doesn't allow them to lie to themselves that it'll be "just for a minute." OK, apps are available on most smartphones too. But with the iPad, the temptation to stray is literally in a student's hands the whole time, since the device is also the tool they're continuously using to supposedly "take notes" during a lecture. As far as Twitter, messaging, and web-browsing go, they'll unfortunately be just as much of a nuisance on a laptop. But considering the iPad's portability, your child is more likely to tote it to class without fail. Your kid will probably make the argument that an iPad can display digital textbooks and, since the device is lighter than a stack of dead-tree tomes, you'd be saving the planet and them from years of backache and possibly a future addiction to painkillers / chiropractors. To this argument, you should tell them to wear their backpack over both shoulders, like one is supposed to, and they shouldn't have a problem. Then, after a cursory examination of eBook prices, you might notice that they are generally cheaper than their printed counterparts, especially when you factor in Amazon's rental service. But keep in mind that there's no secondary market for digital textbooks, so that price you see for the digital version is the only price you'll get. You can't buy them used and you can't sell them back once the semester is over. You want your kid to grow up to be a personable, extroverted, well-functioning member of polite society, right? So why would you give him a personal entertainment device that all-but-guarantees he'll spend every moment of his free time with his nose pointed at a tiny screen, drowning out the revelry, camaraderie, and general good-times that are taking place around him? Like any gadget, the iPad is a status symbol. Like any Apple gadget, it's an expensive status symbol. It's something we've been trained by society and lifestyle magazines to want, simply because it's a luxury — and if we can be the first to have it, somehow, we "win." To combat this, you can sit your kid down and, being very earnest, tell him that he doesn't need things to be popular. Then explain to that laughing at you, when you're trying to be serious, isn't getting him closer to that iPad. Apple is very consistent with its release schedule of devices. New models come out like clockwork, and our guess is that the iPad is not going to stray from this tried-and-true model. Specifically, an even newer version of the tablet is surely going to come out sometime in March or April. 10. They'll probably want a laptop, too! Yes. You heard that right. 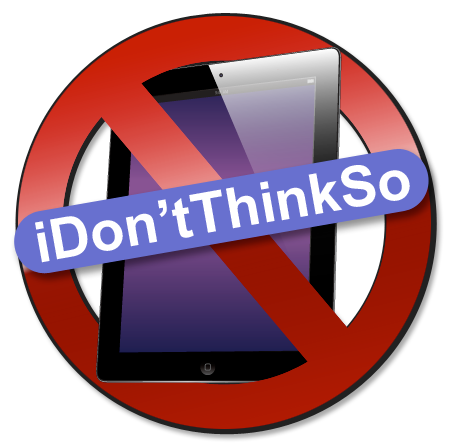 If you buy an iPad for your kid thinking, "Well, that's that," think again! Since there are situations in which a tablet just doesn't cut it (see above), your child will come to realize that she definitely needs a full-fledged desktop or laptop (like the new MacBook Air, of course) for school, too. Whether it be for essay-writing, Internetting, game-playing, or entertainment-centering, you're looking at a double-dose of device deployment. Never forget: There is no end to the amount of money a kid can or will ask for. By this point, you should have the tools to totally demolish your child's hopes and dreams of being the cool kid on campus. That's fine, because as we think we've made clear: The iPad is an accessory — and an expensive one at that. It's not a "productivity tool," and it's certainly not a laptop replacement. But if, after all that, you're still going to get your child an iPad, make sure you get one after looking through our iPad deals. And also, try and keep quiet about it. Other parents do not want to battle a kid yelling, "But so-and-so's folks got her one!" Note that this feature has been updated since it was originally published last summer. This article is VERY bias. Where are the good characteristics of an ipad? And where are your sources?? 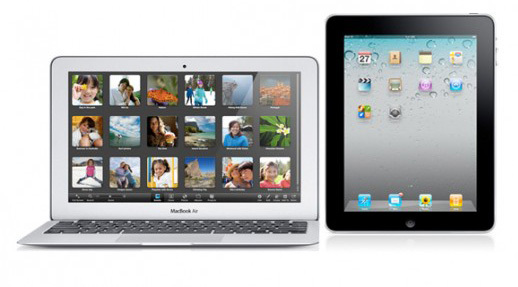 Will an IPad completely fill all computing needs or a college student? No. Is it much better for mobile needs than a laptop? Absolutely. A low cost desktop and an IPad are better for meeting all computing needs than a laptop is. Ever try to type a term paper on a netbook? Not fun. Ever carry a large laptop and your text books? Might as well be an ROTC member carrying your field pack. Why get a laptop and do all things with middling success when you can pay the same or less for two devices and do everything exceptionally? How many do you know? 100% of the iPad owners I've known, some for years, still use theirs daily, mostly for traffic maps, staying in touch (instant messaging and email), reading the news, game-tracking sports and news podcast. They also often use it for streaming videos and sending presentations to a projector for meetings.... sometimes as a backup to their iPhones and sometimes the iPhone is the backup. Primary schools found that learning with the iPad in the environment, is much more productive. They are now handing them out like candy. Of course if you don't hang out in an academic environment, or have no interest, it becomes a gaming and video machine... but this old article is focussed on school, I think, and completely missed the boat.
" your child will come to realize that she definitely needs a full-fledged desktop or laptop (like the new MacBook Air, of course) for school, too"
Listen, Jeff loves (loved?) his Zune, sure. But, he did recommend a MacBook Air in the article. 60% of iPad owners I know rarely use thier device after the first few weeks of ownership. 20% of the ones who use it only for recreational activities. Sure, they downloaded all sorts of educational/utility apps, but in the end it just turned out to be the gaming/Facebook device. This article sponsored by the PC manufacturers who saturate this site. The dead giveaway is the fact that they don't recommend you avoid a tablet, they specifically tell you not to buy an iPad. "You want your kid to grow up to be a personable, extroverted, well-functioning member of polite society, right?" In my opinion attempting to raise an introverted kid as an extrovert is a form of child abuse. I never see anyone using the ipad in the wild. My brother in law got from work and it just sits on his counter when at home. It is the high end with LTE, but he says Laptop is so much easier to actually use. Most people I know say their kids use for games and movie. It is a toy not a work item. Pretty lame reasoning and out of date. The iPad is no longer a gadget. It is wonderful for note taking during class, many current students are using them. A $40 Bluetooth keyboard will work very well. Much easier to carry an iPad (and small keyboard - some with built in iPad case) around than the large screen laptop you need. Can't beat watching presentations and videos on the iPad screen. You will need a desktop for writing papers and running science applications. The argument for a laptop was that you needed power and portability. You can probably get a new desktop and an iPad for about the same $$ as a decent laptop. Kids will play games on anything regardless. Time to stop reading any more articles by Jeff Somogyi, doesn't seem to have a clue about the future of computing as a technology that people will carry with them at all times in the future. Many other commenter's seem to think the same way however. Terrible list. You must be grasping at straws. Most of the points don't make sense. By it's logic, it's not worth buying anything costing a significant amount of money, because someone will steal it! Also all technology will be outdated eventually, so just never buy it! Furthermore, technology will make you a social outcast! Oh noo! As a graduate student I use my iPad everyday and wouldn't trade it for a laptop if you paid me. Granted I do plan to keep all of my textbooks and I have a desktop at home, but for studying you can't beat it. There are some kernels of truth in some of the points the author makes, but the tone is SO obviously anti-Aple biased that it ends up destroying any credibility the article might have had. That's kind of burn on @Just.Kevin right there. I agreee that a laptop is a much better over-all computing device for students than an iPad. The main advantage of an iPad is its extreme portability and how easy it is to take to class. However, I rather doubt those taking it to class are using it for anything other than facebook. Also, Microsoft Word is the standard in some classes. Wow, even though this article was written by an editor, it still needs an editor. Among the more egregious errors that jumped out at me were the misspelled words "expendatures " (expenditures) and "comradery" ("camaraderie") -- there were also numerous grammatical and punctuation/hyphenation errors. There's literally no excuse for the spelling errors I pointed out; even someone poor at spelling can rely on spell-check to tag and show the proper spelling of both of those words. To me, unless you have a specific need (usually business-related) for an iPad, in which case they can be extremely useful, the device is, as #8 states, a status symbol. I'd much rather have a mid-market 15" laptop ($400 or a bit less) AND a refurbished 32GB 4th-gen iPod touch ($250)... and that's for not much more at all than a mid-grade iPad 2 ($600-730). Item #9 makes a pretty salient point, too: You're going to have a serious inferiority complex with your expensive low-res iPad 2 about this time next year when all the cool kids are carrying the new HD iPad 3. While most of the points you made is agreeable, as an undergrad myself, #3, #6 and #7 don't sound very convincing. Practically, textbooks these days are so expensive I just don't buy them. I burrow them from my friends if it's physical. If it's digital, I just ask for a copy. That will save both money and trees. For #3, a laptop, iPod and smart phone could distract students as well. I can't tell if iPad does better job at that. For other comments' argument for iPad's practicality, you can't compared that to a laptop, or perhaps even a netbook. They are designed for different purposes. Laptop is primarily for work while iPad is for fun. Even if you attach a keyboard to iPad, it's still not a laptop. #5 is a good one. Simply put, almost every college student has a laptop. 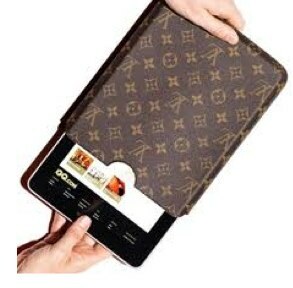 So if you have a laptop too, you will not stand out. But if you sport an iPad, people can easily recognize that it is an expensive device since there is a few variations of iPad. With laptops, you can't tell how expensive they are from outside appearance. Would a thief steal something heavier that might be of low value instead of something lighter with higher value? Wow, your deals are so good but the articles are soooo bad. I always get pulled in to them because they are mixed in with the deals and the titles are somewhat appealing, and then I totally regret reading them. Can't you put them in a separate section please? Re: 1. Very similar cost to a laptop 2. Bluetooth keyboard?... come on, you guys have featured them. 3. No more so than a laptop 4. Square trade 5. No more so than a laptop 6. See 5 7. So you're argument here is the pita that it is to lug around 5 classes worth of books is worth it in resale value at the end of the semester? 8. You obviously don't own one. They are awesome and worth every penny. 9. No disagreement here. The iPad 2 should have had the screen the next model is reported to have, but then what would they come up with for the next model? 10. A laptop for a student is a no brainer... An iPad shouldn't even come into the discussion. It's just most of your points are poor, invalid and wrong. As a grad student, I have tried using a laptop and an iPad for classwork. The iPad has been ideal for me. Lugging around a laptop with charger and all of my textbooks was making me miserable. Half the time I had to carry my backpack and a separate tote bag for books. It was ridiculous. My husband got me an iPad and half the time all I need to take to class is a purse. The typing isn't an issue since I use a case with a usb keyboard. I edit my papers on a desktop, wither my husband's or one in the campus computer lab. I would never switch back to using a laptop and physical copies of textbooks. While I agree you are following a logical progression, do you not see the issue here? Where does this logic lead you when applied to all products? When faced with any two options, you should choose the inferior option, because it is an object of less value to others, and therefore less likely to be stolen. Why buy a computer at all? If you don't have a computer, it can never be stolen, and you can never drop it... It makes sense to take logical precautions when owning a nice piece of equipment. I disagree with the theory that one should not buy a nice things because there are less-nice things that might be stolen less often. No, I don't argue against point 1. While I think the price is reasonable (you get what you pay for), I do agree you can buy cheaper items that will suffice. I really don't argue (and, in fact agree with) points 2 and 10 as well (as I stated in my original comment). It is not ideal for editing papers (which college students will do a lot) and there are problems with not having a computer to go along with your ipad (most concerning, a lack of ability to back up data). However, I am pointing out that most of the article consists of non-valid concerns, that could be applied to a laptop as easily as an ipad. Since the author is advocating a laptop over an ipad, I find this to be a weak rationalization. (It's never good when your argument can be used against the side you're advocating in the same way you use it against the side you're challenging). I agree with "nourth" below. I too would buy a macbook for my student over a ipad, and there some reasons for that, but this article isn't a thoughtful enumeration of those reasons. Just because the author's reasons apply to more products than the iPad does not make them any less sensible. For example number 5 is valid as the value of the laptop over the iPad is revealed in the decreased likeliness of a laptop being stolen. Ideal as the only device for a college student? NO! A laptop and an iPod Touch or an iPhone makes much more sense. The iPod Touch is a contract-free WiFi device that offers most of the functionality of the iPad without the bulk, and can be easily carried in a pocket or purse. And 'young eyes' and nimble fingers don't really have any trouble using the small screen and keyboard for quick emails and status updates. Until iOS 5 is released later this year (allowing the iPad to update directly from WiFi and save data to iCloud without the use of a computer), you MUST HAVE A COMPUTER to register and update an iPod, iPhone, or iPad.Still, the iPad is an OUTSTANDING computing appliance for a total computer-phobe. They can quickly learn (10 minutes or less) how to do most of the things they'll want/need to do without the much of the iOS operating system getting in the way. The most common functions (email, web-browsing, YouTube, Facetime video chat, playing music & video, browsing and purchasing the App Store) are already installed and easy to find on the home screen. Once they're off and running you don't have to be 24x7 family tech support for them! Reasons 3, 4, 5, 6, 9, and 10 don't make any sense. The topic of the article was ipad vs. laptop and many of the reasons provided to not get an ipad also apply to a laptop. Social seclusion? Criminals like it more? It's expensive? Wouldn't you need to know what laptop the kid would want in the ipad's place to really make this statement? It's clear to me that Jeff Somogyi is on a hater streak with Apple- perhaps that has to do with the fact that it's easier to find substantial deals (ie. fodder for dealnews) on non-apple products? I love dealnews - but little articles like this are becoming an annoyance. I should point out, though, that I personally would take a macbook over an ipad any day (especially for the purpose of school) - I would just prefer the "10 reasons" to be a bit more substantive.. I noticed you didn't argue point #1. A decked out iPad costs almost as much as a 2011 MacBook Air, and it does almost everything more poorly than a MacBook Air. I agree this writer seems extremely myopic in his view. The fact that he can't think how this could replace a number of electronic gadget a college student might want/need doesn't mean the ipad doesn't do them...it means he suffers from a lack of imagination. Also you can get a blue tooth keyboard for pretty cheap. OMG college kids getting distracted...well that never happened before the iPad. Unfortunately, like many articles on this site lately, this article shows a very personal view of the author who clearly could care less to imagine life outside of the existing box of his personal computing experience. "You don't see people walking around typing on their laptops because this isn't convenient"
Again though, the argument against buying this product is that it is more convenient to use than a laptop. You can/will use it everywhere you go. How is that a con? Just don't drop it. You could make the same argument as to why you should own a desktop computer rather than a laptop. You are much more likely to drop a laptop, or spill something on it. Is that a valid reason to buy a desktop instead of a laptop? I think point 4 is valid. You don't see people walking around typing on their laptops because this isn't convenient. 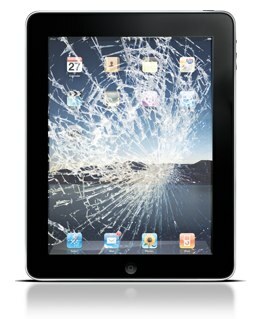 An iPad being extra portable could be used at less than opportune times allowing for an increased propensity to be dropped. While I do see merit in the argument for 2 and 10, I find this article to be a truly weak argument for not buying an iPad for anyone, or in particular a college student. Some of of these arguments can can be made about any computer (3, 4, 5, 6, 9), but the most frustrating part of the article is that the strength of the argument against buying an ipad seems to be that it is a better, more likely to be used, product than other laptops. The biggest flaw in logic here is that you should buy something less desirable, so that it will be used less. To summarize points 4, 5, and 6 : Don't buy something convenient to carry, because someone might steal it. Don't buy something that you can and will want to use everywhere, because you might drop it when you use it. Don't buy something that you want to use all the time, because then you will want to use it all the time and might not talk to as many people when bored in everyday life. Why not just buy the bulkiest, cheapest, least functional laptop in the world?